Cyclo Vac manufactures a variety of high quality central vacuums. In 1976, the Cyclo Vac brand launched and impressed with its high performance, low noise level and sleek looking burgundy design. 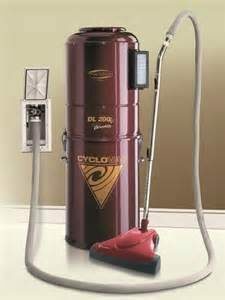 More powerful than a portable vacuum, the Cyclo Vac central vacuum system is efficient and easy to install. For Tacoma and Gig Harbor residents looking to install a central vacuum system, Cascade Central Vacuum is a certified specialist of Cyclo Vac. You will be able to enjoy the many advantages of a Cyclo Vac Central Vacuum system in only a few hours. Central Vacuum systems can easily be installed during construction or home renovations. If you are already a Cyclo Vac customer and are interested in vacuum service repair or additional wall inlets or central vacuum accessories, we can assist you with your needs.